From prams to cots to baby bouncers and more – if you’re looking for European style at the right price, you need to know about Babyhome. They’ve just launched in the Australian market and we like what we see. They’re number one in Spain’s baby market and it’s easy to see why. With stylish good looks and a range of products that address everyday essentials for families, Babyhome hits the mark for parents wanting baby gear that will meet their family’s needs, and look good doing it. Babyhome’s Wave baby bouncer (at top) is a case in point. Sure, it looks great, with a sleek, wooden frame that would be at home in the most modern of living rooms – but equally impressive is the thinking behind its design. It folds down to a tiny 9cm in height to slip into the tightest of spaces. It comes in a range of finishes and colours to co-ordinate with whatever you’ve got going on. And its durable fabric cover is removable for washing so it will still look great no matter what life throws at it. The same innovative thinking about form and function is clear in their other products as well. 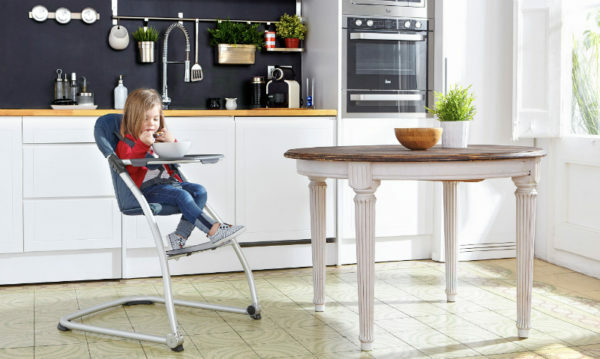 Take their Taste high chair, with its dishwasher-friendly tray. It too folds down to a compact size (a mere 17cm in height), enabling it to be easily stowed when not needed. Its light aluminum frame is sturdy without being cumbersome – a boon for parents who need to manoeuvre it with just one hand. 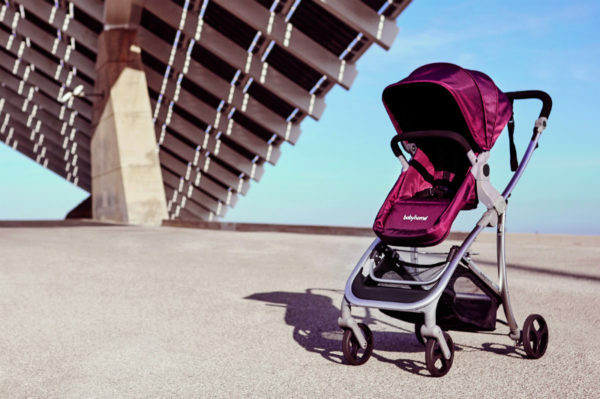 Babyhome’s lightweight Vida stroller, with two frame colours and three fabric options, represents great style and function at the right price too. You can use it from your baby’s first day, and not only is it almost endlessly adjustable, it’s compatible with a wide range of travel systems too. Like other Babyhome products, it’s easy to keep looking good, with fabric seats that zip right off for cleaning. And Babyhome applies the same stylish yet practical thinking to all their products, from portable cots to nappy bags to bed rails and more. Their new Australian launch makes it easier than ever for Australian parents to bring some Spanish style home. Check out everything they have on offer at Babyhome.